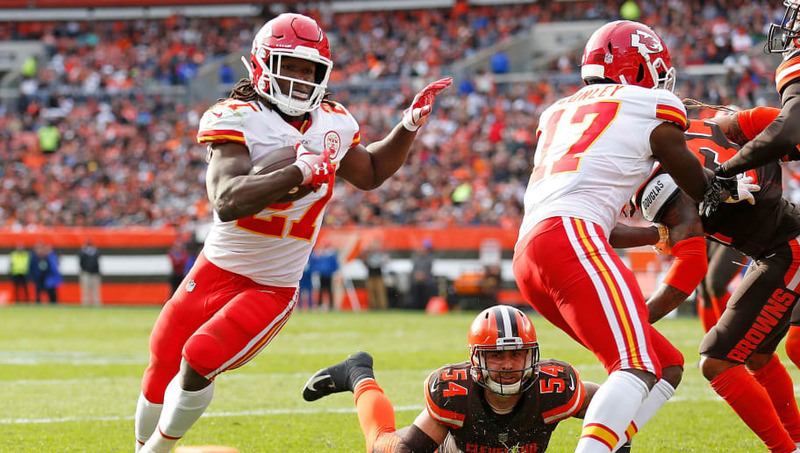 ​The ​Cleveland Browns have signed former Kansas City Chiefs running back Kareem Hunt to a one-year deal that could be worth more than $1 million, according to reports. NFL insider Ian Rapoport broke down some of the details on Monday. To get the type of production Hunt can give you from the running back position for that low of a price makes this a very nice signing for the Browns. The 5-11, 216-pound back appeared in 27 games for the Chiefs over two seasons, rushing for 2,151 yards and 15 touchdowns, while adding 833 yards and 10 more touchdowns in the receiving game. Hunt led the NFL in rushing as a rookie, bursting onto the scene and recording six consecutive games with 100-plus yards from scrimmage to start his first season (an NFL record). Hunt of course was let go by the Chiefs after ​video surfaced of him shoving and kicking a woman in a hotel (in Cleveland of all places). In a statement from the team, Browns GM John Dorsey said he felt comfortable in signing Hunt after an extensive process. League spokesman on new Browns RB Kareem Hunt: “There’s an ongoing investigation, and the team understands he's subject to league discipline.” Now that he’s signed, Hunt will go on the commissioner's exempt list. Hunt will be on the Commissioner's Exempt List moving forward and will surely be suspended to start the 2019-20 NFL season. Once he is able to suit up for Cleveland, though, he'll look to return to his elite form.